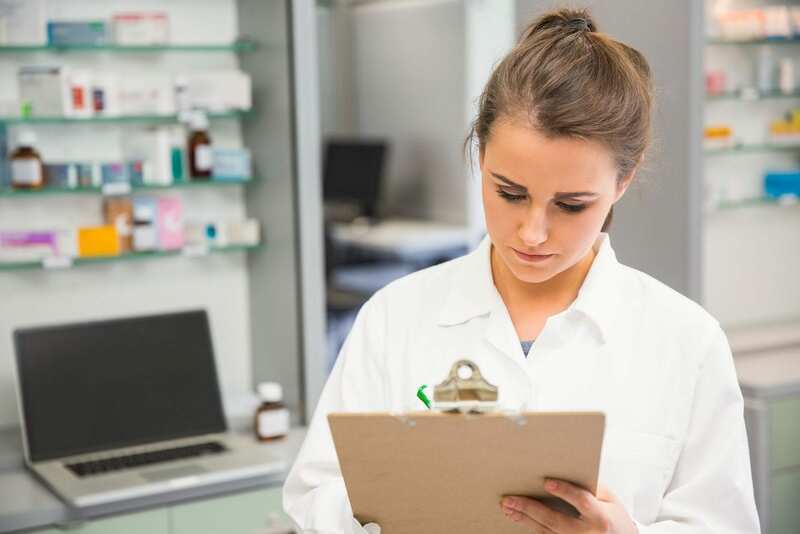 Pharmacy technicians use their skills, knowledge, and training to perform a wide variety of pharmacy related tasks under the care and direction of a registered pharmacist. They are integral to the success of any pharmacy as they assist with the dispensing of medications, manage inventory of medications and other health care products, and perform administrative tasks. They work in a number of pharmacy settings, including grocery stores, hospitals, community pharmacies, nursing homes, home infusion pharmacies, and pharmaceutical companies. Since the position does not require extensive training, adult learners can prepare for entry-level employment in a few months and obtain a license from the California Board of Pharmacy to begin working sooner than it would take to prepare for other careers in health. Most graduates obtain jobs immediately after graduation due to the rapidly growing job market. 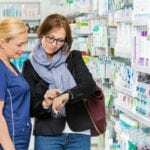 The Bureau of Labor Statistics projects a faster than average rate of growth for pharmacy technicians, especially as demand for health care products with the baby boomer populations escalates. Pharmacy technicians in California earn an average salary of $38,307 annually. The pharmacy technician program at Carrington College is accredited by the American Society of Health-System Pharmacists. The curriculum covers 375 lecture hours, 225 lab hours, and 240 practical hours for a total of 36 semester credit hours. The campus-based program may be completed in 36 weeks. Areas of study include nervous systems, anti-infectives and retail operations, retail operations lab, pharmacy calculations, prescription processing, compounding, hospital operations, parenteral dosage, repackaging theory, body systems and much more. Students who successfully complete the program and receive a Certificate of Achievement may continue to the Associate of Science degree program using the online degree option. The AS degree will require the completion of an additional 60 credits covered in approximately 50 weeks. The online general education courses include college algebra, introduction to psychology, environment science, computer literacy, principles of mathematics, English writing and composition, ethics in contemporary society, and environmental science. Applicants must pass the Wonderlic Scholastic Level Exam (SLE). A high school diploma or GED certificate, background check and drug screening are additional requirements for admission. Tuition for the program is $17,562. Books and supplies cost an additional $1,015. The pharmacy technician program at Charles A Jones Career and Education Center is 1080 hours covered in 36 weeks. The structure of the curriculum supports the development of a broad knowledge base and pharmacy skills so graduates can function competently in retail, inpatient, and outpatient settings. In the skills lab, students learn how to compound extemporaneous preparations and use computers for ambulatory services. Areas of study include pharmacy math, pharmacology for pharmacy technicians, medical terminology, pharmacy computer technology, institutional Rx lab, and a 6-week pharmacy externship. A PTCE preparation class is included in the cost of the program. The review class runs for 2 weeks to prepare students for success. Applicants must have a high school diploma or equivalency and attend an orientation and assessment. The orientation is open every Wednesday from 8:15 am to 11:00 am – a picture ID is required. Job placement assistance is available for all graduates. The tuition costs $7,090. Books and supplies cost $720 and include the cost of uniforms, insurance, material fees, and drug screening. Students who successfully complete the pharmacy technology program at Consumnes River College will earn an Associate of Science degree in Pharmacy Technology. The curriculum includes classroom lectures, hands-on skills lab, and practicum components to support the development of clinical skills. The program is accredited by the American Society of Health-System Pharmacists and graduates are eligible for registration with the California State Board of Pharmacy. The curriculum follows a defined sequence, which requires completion of the prerequisites with a grade C or above before advancing to the next course. Interested persons must complete the pre-enrollment form, provide official copies of all college transcripts, and have a high school diploma or GED. To participate in the supervised practice, students must obtain health clearance, which includes submission of an immunization record. Common immunizations include tetanus, rubeola, rubella, diphtheria, varicella, hepatitis B, and a negative TB skin test. Students may also be required to undergo a drug test and submit information for a background check. All students must have liability insurance and be responsible for personal medical care throughout the program. Financial aid is available for eligible students. Asher College prepares pharmacy technician students for a career in the field of pharmacy technology. Instructors are experienced professionals who are familiar with the ins and outs of the profession. The program includes lectures and hands-on lab to inspire confidence and professionalism. Graduates are prepared for success on the national certification exam and can hit the ground running in an entry-level position. Areas of study include medical terminology, typing fundamentals, Microsoft Office essentials, pharmacy practice essentials, pharmacy technology, advanced career development, pharmacology, pharmaceutical calculations, pharmacy law and ethics, and advanced pharmacy practice. The total program is 926 contact hours or 63.20-quarter credit hours. Applicants must have a high school academic record or a certified copy of an official GED test results, complete a Live Scan Request form for fingerprint scanning, and submit a completed application. The program is available on a full-time (39 weeks) or part-time basis (77 weeks). Tuition for tot eh program is $17,050. The pharmacy technician program at Brightwood College provides students with the knowledge, skills, and work habits to succeed in an entry-level pharmacy technician program. Students acquire knowledge and develop skills to transcribe physicians’ orders, update patient profiles, prepare medications for dispensing, prepare unit dose medications, and manage administrative duties. The curriculum offers 760 contact hours covered in 36 weeks. It is divided into 520 hours of in-ground instruction and 240 hours of digital instruction. Before graduating from the program, students must complete a 120-hour externship. Graduates will have earned 59.5 quarter credits at the completion of the program and are eligible to sit the PTCB exam for national certification. Areas of study include nervous and sensory systems, introduction to allied health, pharmacy technician procedures and skills, pharmacy technician seminar, absorption systems, circulatory and immune systems, and sterile products. Tuition for the program is $15,201. There’s an additional cost of $640 for books and supplies. Students enrolled in the pharmacy technician program at Sierra College learn to maintain patient profiles, prepare and dispense prescriptions, manage inventory, collect payments, coordinate billing, and refer patients to the pharmacist for counseling. The program meets the state requirements by offering 182 hours of classroom lectures and 120 hours of pharmacy externship to produce well-rounded students. Applicants must be 18 years or older and have a high school diploma or equivalent. Before commencing the externship, students must provide proof of CPR certification and a current resume. Pre-registration for the program is required. Tuition for the program is $2,199. It includes uniform, CPR, and the PTCB exam fee.